Courtesy of BHHS FLORIDA PROPERTIES GROUP. Located in the highly sought after community of Long Lake Ranch, this stunning 8216;model like 8217; beauty features endless upgrades and impeccable architectural details throughout to include a $28,000-34 panel solar power system that will reduce your total energy costs to an estimated $10 per month! With superior design & lush finishes, this home offers an open space 3,360 sq.ft. floor plan with 5 bedrooms, 3 full baths, and a bonus loft on the second floor. The gourmet kitchen is equipped with gorgeous cabinetry, high-end stainless steel appliances, 2 double wall ovens, upgraded granite countertops, large center island with sink, a butler 8217;s pantry, upgraded plank ceiling, and so much more! The kitchen overlooks a large family room and breakfast nook; which is perfect for entertaining large parties. Sliding glass doors open up to create even more living space with a covered patio leading out to a large fenced back yard. Walk up the wooden staircase to the enormous second floor bonus loft that offers a great additional flex space for you and your family. The spacious master suite include a luxurious en suite with his & her sinks, walk-in shower, and two walk-in closets with lots of storage. This home features a whole house water softener with carbon filtration system. Long Lake Ranch is a fantastic neighborhood with 2 community pools, huge park and playground, Dog Park, Lake Gazebo, a dock with great walking paths and so much more. Please, send me more information on this property: MLS# T3155519 – $469,900 – 18779 Deer Tracks Loop, Lutz, FL 33558. 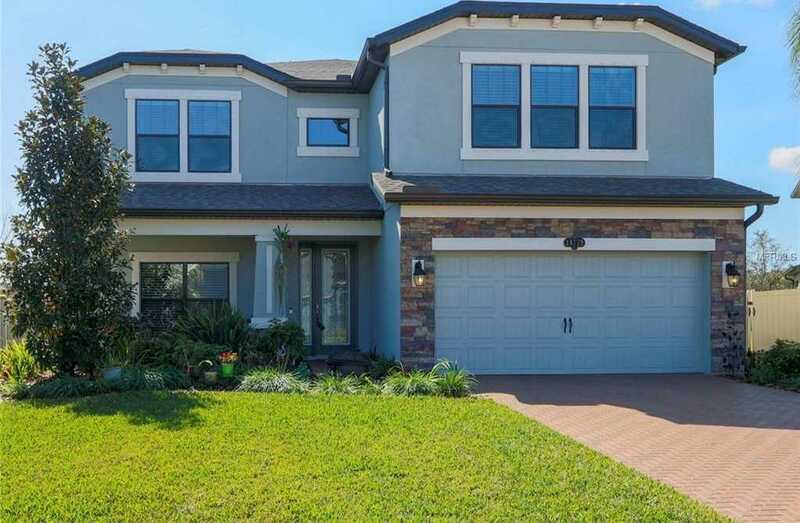 I would like to schedule a showing appointment for this property: MLS# T3155519 – $469,900 – 18779 Deer Tracks Loop, Lutz, FL 33558.